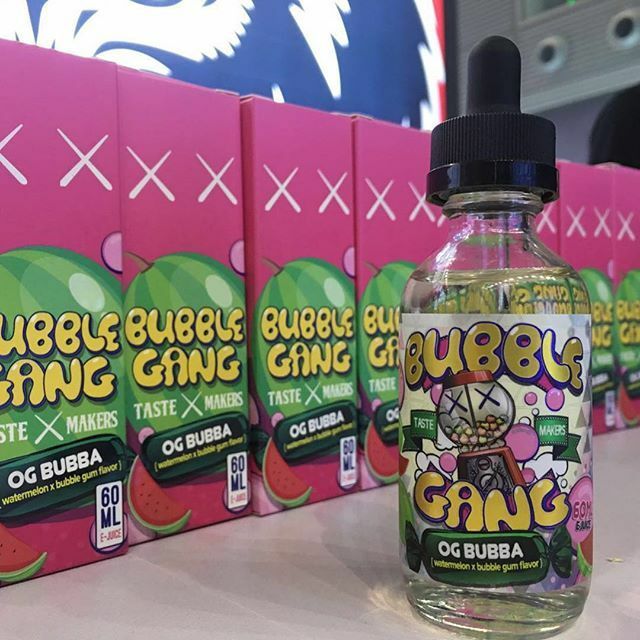 OG Bubba Bubble Gang E-Juice 60mL is a mouthwatering liquid from The Bubble Gang that closely replicates the sweet taste of a spot on watermelon bubblegum, leaving you with a juice that is absolutely packed with a strong flavor that will remain throughout the day without diminishing the slightest. The Bubble Gang E-Juice is expertly crafted in the USA under scrupulous regulations in order to maintain a consistent quality and features a high VG concentration, 70% VG to 30% PG, to create a juice that can produce a sweet and tasty vapor with the massive clouds the match. OG Bubba ships in large 60mL glass bottles with child resistant capper and is made available in a number of nicotine strengths to choose from ranging from nicotine free up to 6mg.